Recorded Live at Yale Bowl, New Haven, Connecticut, USA - July 24, 1971. Files: 7. :: Size: 141,46 MB. Personnel: Jon Anderson :: Bill Bruford :: Steve Howe :: Tony Kaye :: Chris Squire. Notes: - Sources: July 24, 1971; Yale Bowl, New Haven, Conn. June 5, 1971; Sportpalast, Berlin. Quality: Sup (Ex) What a wonderful surprise! 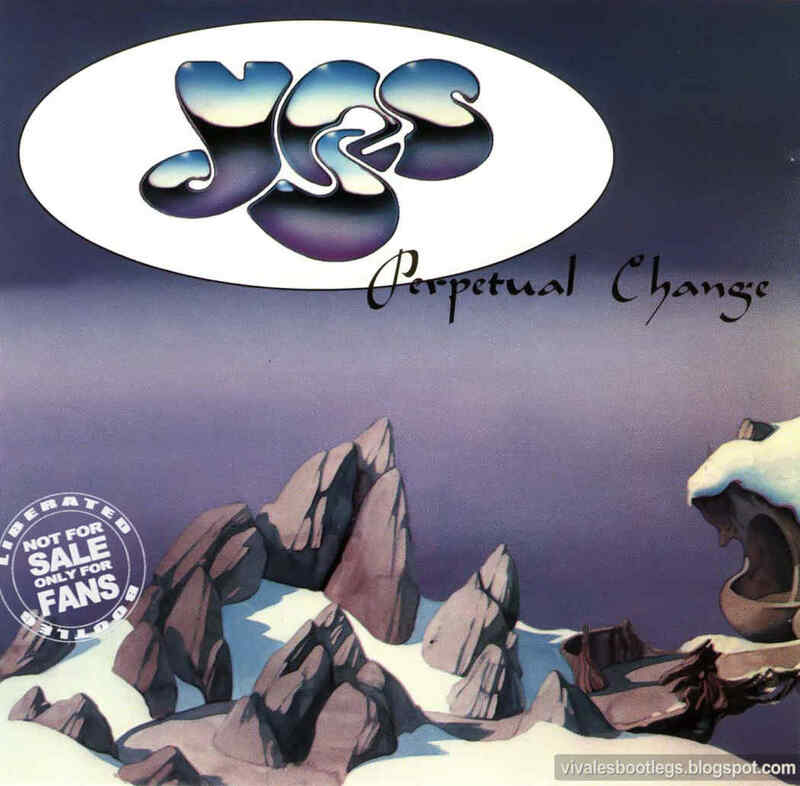 From out of nowhere comes this soundboard recording of the Yes Album lineup live in 1971. The bonus tracks (attributed on the sleeve to Berlin '71) aren't quite up to the same standard as the New Haven material, but are nevertheless also soundboard. 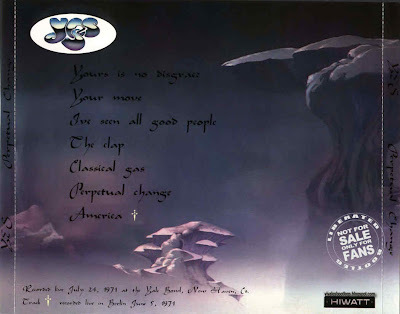 This one comes _highly_ recommended.- -The Hedonist- ····· - This version of 'America' is somewhere between that on the "Looking Around" CD and the "Yesterdays" version we all know and love, in that the arrangement is old (old intro, 'toss me a cigarette' verse, no bass solo, etc. ), but Steve Howe is unmistakably the guitarist here. -Tom-.